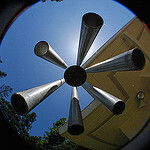 Bells have a certain resonance for me. When they toll, people listen as they are normally of significance. I have just heard one. I have been waiting from this paper to come out since I heard the authors speak about progress at last year’s Infection Prevention Society meeting in Glasgow. Decision-making prior to passing a urinary catheter is something close to my heart, since we need to know why people do things if we are to modify practice. For me, telling people that a list of specific indications for an intervention exists merely makes the decision-maker pick which one on the list fits their desire or perceived need to catheterise most. The authors highlighted real inconsistencies in decision-making based on beliefs on appropriateness at an individual patient level. There were a number of interesting findings, including that a residual volume of 200 – 500ml meant that a catheter was required although ‘symptoms of retention’ were not required. This of course only works if you have access to a bladder scanner. There also seemed to be a fear of ‘missing’ retention (often because no-one was listening to the patient). Urine output monitoring was also normally considered to be routine, something familiar to me when I was in clinical practice. I remember being on a post-take ward round with a consultant surgeon asking if a (quite well) patient admitted the evening before with an ‘acute abdomen’ that had settled need a catheter. He said “no she doesn’t” so I pointed that there was one in. “Better leave it in then” was the response. When mulling looking at the retention issue a couple of years ago, I found that staff almost never looked for the cause of the inability to pass urine. More often than not it was not true obstruction, sometimes a reaction lack of mobility or to anaesthetic agents and occasionally due to the constipation of the patient, the second most common cause of urinary retention in men in this study, echoed in others. Interestingly although I blogged about some helpful guidance from the USA that may help with deciding on an indication for a catheter, consideration of whether the patient was constipated leading to retention did not appear in the document, a major omission in my opinion. We really need to get a better understanding of why things happen and what the foundation of the decision to intervene is so that interventions that tackle beliefs can be tailored to get to the root of the decisions.